We pride ourselves on attention to detail and the ability to regularly provide a ‘second to none’ service. The reflection on our quality of delivery is displayed by the number of ‘Blue Chip’ events and clients that entrust us with their requirements. We offer a wide range of services all delivered in a commercially friendly and professional fashion. The attention to detail and personal touch from our management team enables us to meet and even exceed our client’s expectations time and time again. Wise Security Services is an established supplier to some of the most iconic Stadiums in England. Our excellent reputation and exemplary service delivery has been fundamental in helping us build the strong relationship that we have without clients. Working at high profile events with tens of thousands spectators can bring a number of challenges. However, our highly motivated, pro-active workforce have always proved to be a match for anything put in front of them. 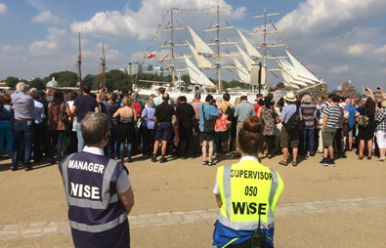 Wise Security Services is proud to regularly provide Stewards and Security personnel to London’s three most prestigious stadiums; Wembley Stadium, Twickenham and the Olympic Stadium. 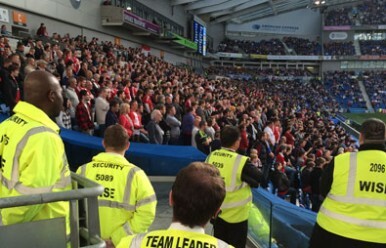 Wise Security Services is the UK’s leading services partner to the football industry. With a senior management team that has accrued a combined 50+ years experience in this particular sector we come well prepared to steer our workforce through even the most difficult of situations. Our experience in this field has proved to be most beneficial to our many clients. Over the past decade we have been pleased to work regularly with the FA and a number of clubs including; West Ham United, Millwall, Fulham, Gillingham and Brighton & Hove Albion. 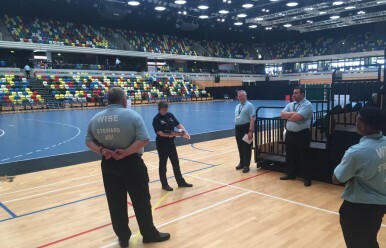 Wise Security Services is a regular supplier to some of the county’s leading multi-purpose arenas. The diverse and varied nature of events held at these venues dictates a need for an experienced, adaptable supplier. 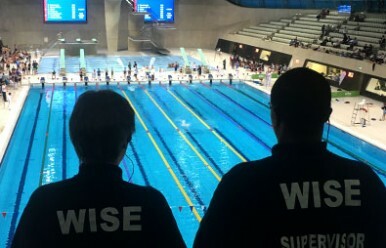 Wise Security Services is such a company and has proved time and time again to be able to deliver a bespoke service for the wide range of activities including; Basketball, Boxing, Cage Fighting, Concerts, Conferences, Cycling, Exhibitions, Martial Arts competitions, Product Launches, Seminars, Swimming and Diving Championships, VIP gatherings and celebratory events and many other sports and leisure spectator attended occasions. Some of the Multi-Purpose Arenas where we have been pleased to provide staff include; Copperbox Arena, London Aquatics Centre and Lee Valley Velo Park. We have specially-selected, trained and proactive staff who are experienced at working in a whole array of environments where there is a need for manned security services. Alert and ready to take action and deal with any potential issues our staff are trained to prevent of defuse incidents in your work place or leisure location. Wise Security Services deploy SIA qualified security personnel who are trained and capable of a controlled response to any security breach. If you have an event or security requirement in the future and feel that we might be able to be of assistance to you in any way we do hope you will contact us.